A.R. 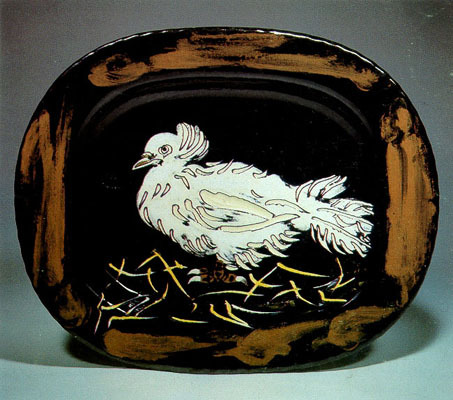 white earthenware clay, decoration in engobes, knife engraved, white enamel brushed under glaze. colours: Red, yellow, white, black.